Historic Site Of Studio One Gay Disco In West Hollywood Faces Demolition - SAVE THE STUDIO ONE SITE! Home/Featured/Historic Site Of Studio One Gay Disco In West Hollywood Faces Demolition – SAVE THE STUDIO ONE SITE! Historic Site Of Studio One Gay Disco In West Hollywood Faces Demolition – SAVE THE STUDIO ONE SITE! In 1974 Scott Forbes took over the building in West Hollywood that would become the epicenter for gay nightlife and activism for the next few decades. 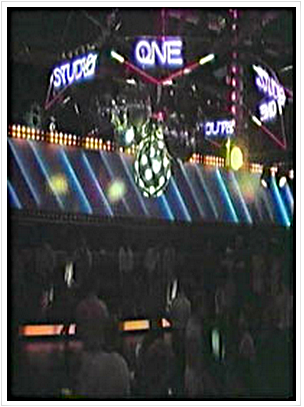 It’s name was Studio One which we now have to save from—you got it—from greedy land developers in West Hollywood. Located at 652 North La Peer Drive, was designated one of America’s 11 Most Endangered Historic Places by the National Trust for Historic Preservation on Wednesday. Today the building still remains a nightclub called The Factory but it will soon be demolished to make way for a hotel with more than 250 rooms, underground parking with more than 1,000 spaces and a plethora of cafes and small retail spaces “by real estate developer Jason Illoulian with a project he is calling “Robertson Lane.”, Illoulian has Manhattan’s Ace Hotel in mind as a downtown hipster hangout, with a lobby filled with cool geeks working on their laptops. According to the National Trust for Historic Preservation the Robertson Lane project, as it is called, would create a walkway between La Peer Drive and Robertson Boulevards that would go through the site of the old Studio One.. “This route could easily be realigned to spare this landmark from the wrecking ball,” says the Trust. So many of our LGBT historical landmarks have disappeared and then forgotten by history. PLEASE show your support in preserving the Studio One Disco site by signing the petition here.